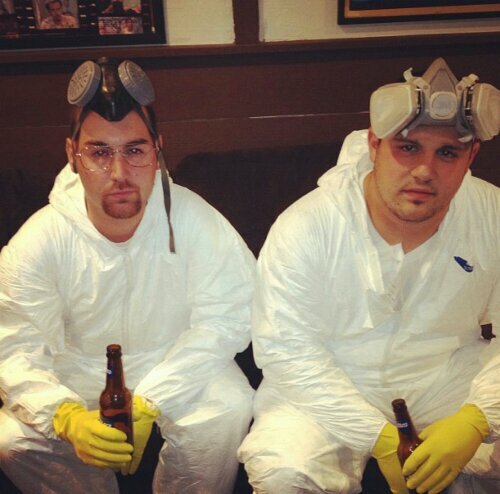 Snooki and Jwoww have been dressing as famous pop culture pairings over the past few days, and a photo has surfaced of the Jersey Shore pair dressed as Walt and Jesse from Breaking Bad…and it’s disturbing. 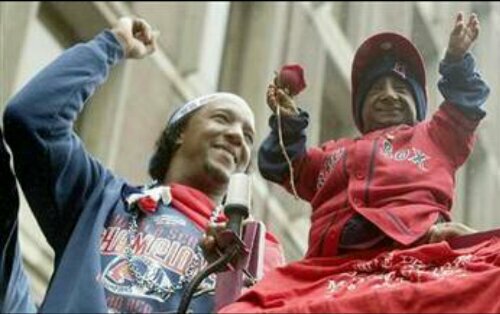 Snooki looks disturbingly similar to the little person Pedro Martinez used to bring to the club house during the Red Sox ’04 World Series run. 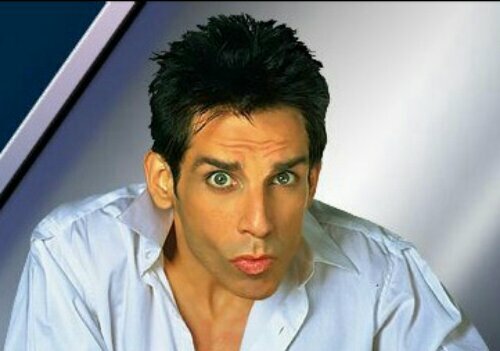 JWoww looks like Walter White if he spent thousands of dollars on botox and plastic surgery and was only capable of making Zoolander’s “blue steel” face. If I wasn’t such an enormous fan of the show I’d say they ruined that picture of Walt and Jesse for me forever. I don’t why Snooki and JWoww are taking pictures of famous pairings and I don’t care. I just want them to stop. And next time you try impersonating Walt and Jesse, model yourself after these handsome stallions. Posted on November 20, 2013, in Average Blog Posts and tagged bad, breaking, jesse, JWoww, pair, pinkman, snooki, walter, white. Bookmark the permalink. Leave a comment.